Jago Hua Savera, produced by Nauman Taseer with screenplay and direction by Aaejay Kardar, is undoubtedly one of the finest films ever to come out of Pakistan. The neo-realist film bears strong influences of other prominent films associated with the genre, in particular, Luchino Visconti’s La Terra Trema (1948), and looks at the life of an impoverished fishing community residing in Saitnol village off the river Meghna in East Pakistan. The film, having its story, dialogue and lyrics written by the great Faiz Ahmed Faiz, depicts as touching and poignant a slice of life as any seen on the silver screen. Jago Hua Savera, titled Day Shall Dawn in English, was the first ever film from Pakistan that made a mark internationally, getting screened at the 1st Moscow International Film Festival, held in 1959. While the Soviet film, Destiny Of A Man, won the Grand Prix at the festival, Jago Hua Savera, along with the West German film, Aren’t We Wonderful?, and the Czechoslovakian entry, Escape From The Shadows, all won the next level Gold medals. 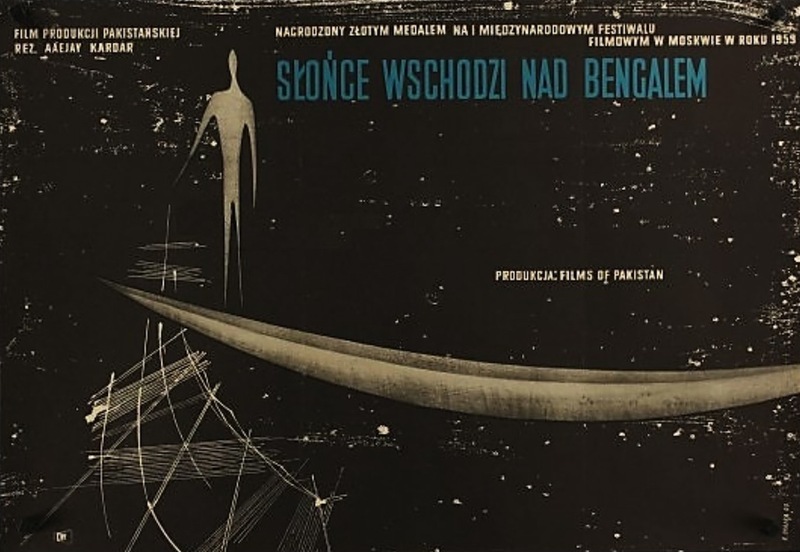 Incidentally, Satyajit Ray’s Jalsaghar was also shown in Moscow in the competition section, while Bimal Roy was one of the jury members at the festival! The film was also Pakistan’s entry, it’s first ever, in the Foreign Film Category at the 32nd Academy Awards but failed to make it to the final nominations. As is well-known by now, the film is a rare and extremely fruitful collaboration of talent from Pakistan, India and Britain. The film, supposedly inspired from Bengali writer Manik Bandhopadhyay’s novel, Padma Nadir Manjhi (though no such credit is given in the film), has legendary Indian actor of the Bengali stage, Tripti Mitra, in one of the main roles while Timir Baran, who had given music for films such as New Theatres’ Hindi version of Devdas (1935) and the final Bombay Talkies offering, Baadbaan (1954), composed the music for the film. Ray’s assistant, Shanti Kumar Chatterji, assisted Kardar on this film too and the cameraman, Walter Lassally, was a Jew who fled Hitler’s Berlin in the 1930s and lived and worked in London. The film. a remarkable debut for Kardar, the brother of well-known Hindi film director AR Kardar, pretty faithfully follows the broad tropes of what we associate with neo-realism. The film is shot on real locations with largely non-professional actors, Mitra being a notable exception, and has scenes structured around the rigors of day to day living of the poor fishing community. All this helps in giving the film a rare degree of authenticity. It does add Faiz’s poetry and the odd song – though used in the background and not pictured with conventional lip syncing as was the order of the day. In that sense, the film was the first to go against conventional cinema storytelling in Pakistan and was also an early effort looking at life of people from the eastern part of the country. The film is beautifully shot documentary-like on location by cinematographer Walter Lassally even though some events like the fair must have been chaotic and difficult to control. But then, Lasally, along with the film’s sound recordist, John Fletcher, was involved with Britain’s Free Cinema Series, a program of BFI funded experimental films, which helped him greatly in shooting the film. The camerawork is highly evocative with several memorable images of wide and vivid landscapes contrasted with some haunting close ups of people from the fishing community. Timir Baran’s soft music beautifully complements Faiz’s moving lyrics and it is a pleasant surprise to see extremely sparing and judicious use of background music in the film, which uses real sounds wherever possible, thus helping further to keep it on a more real footing. The editing (Bill Bouvet), while maintaining a languid pace and rhythm overall, makes some deft and telling cuts such as those between the deeply breathing and exhausted fishermen, who have brought in their catch from the sea onto the boat, and the gasping fish, relating their lives to each other in more ways than one. A memorable though admittedly overlong sequence sees an old, deaf woman react in a lengthy close up to Ganju’s coughing fit and subsequent death off-screen. True, there are some glitches. There are times the Urdu dialogues looks forced especially against the naturalness of the few Bengali ones; the amateur performances do produce the odd awkward moments while the narrative flow is also choppy, flat and inconsistent in places. But to its credit, none of this really takes away from the powerful impact the film has. As a neo-realist film, it is quite up there and looking at the time it was made in, it is truly a remarkable achievement. Unfortunately, Jago Hua Savera couldn’t even get the proper release it deserved in Pakistan. Months before it was to release, General Ayub Khan, in a coup, became Pakistan’s first military dictator. Immediately thereafter, Faiz and other artists were arrested as ‘communists’ for their leftist leanings. In fact, three days before the film’s scheduled release, the government asked producer Taseer not to release it. The film was then premiered in London with the army instructing the Pakistan High Commission there to boycott the event. However, the high commissioner and his wife defied the order and attended the event. When the film did finally release in Pakistan, it was a washout, being just too different from what audiences were accustomed to. The film has now been painstakingly restored by Taseer’s son, Anjum Taseer, who traced out reels of the film in France, London and Karachi. 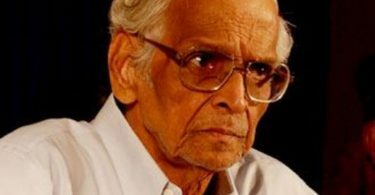 He did try to first get the film restored in a Laboratory in Chennai but thanks to bureaucratic delays in India, had it done in London. However, the dream sequence with Rakshi, seems lost and is not a part of this version. The film was shown in the restored classics sections at the 2016 Cannes Film Festival along with other masterpieces like Sacrifice, Indochine and Goodbye Bonaparte.